Biblical Way of the Cross: Station 14 : Reform worship. 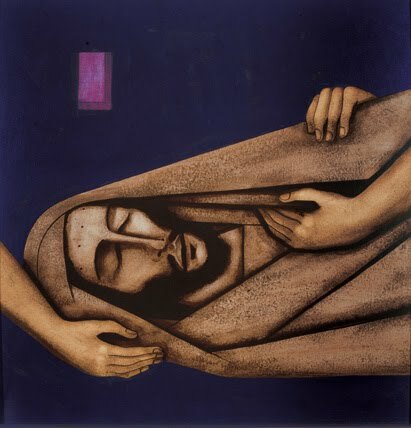 Jesus, now the time of surrender, of being at rest, begins. It is the seventh day when God rested from the work of creation. And you, the Son of God, rest and await the dawn of the eighth day when all will be made new—and we wait with you. O Jesus, teach us to rest. Deliver us from thinking that everything depends upon our actions. Help us to be patient in trusting that God will bring about the completion of his creation through you. We love you, Jesus; fill us with your peace.